We have reviewed thousands of personal statements and know what it takes to get into the top programs. 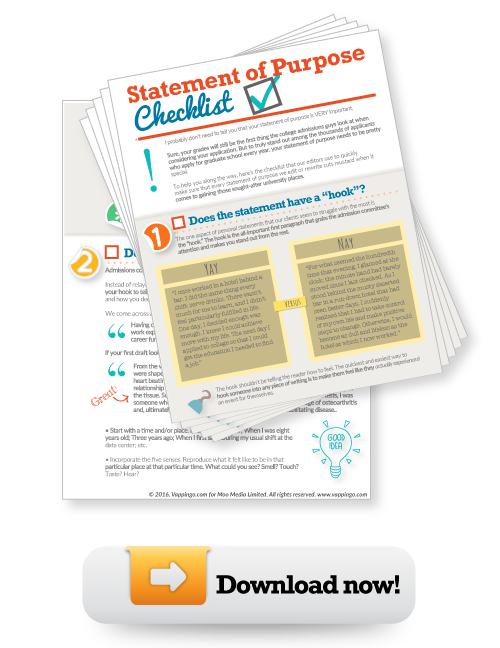 Get your hands on the very same statement of purpose checklist we use so you know EXACTLY how to write a personal statement that gets you into grad school. 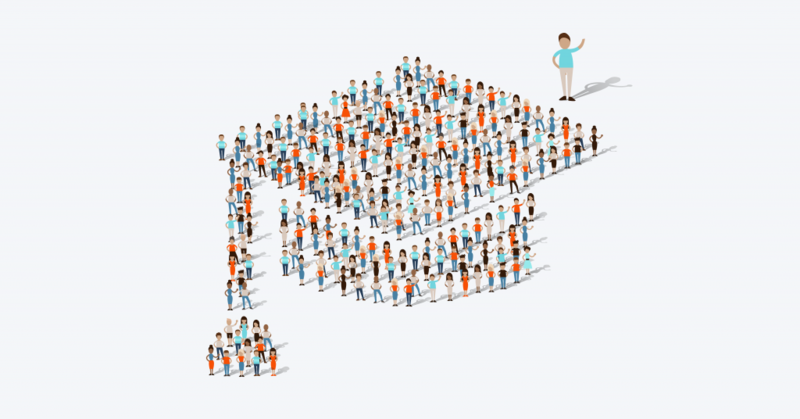 Write a college admission essay that helps you to stand out in the crowd. I probably don’t need to tell you that writing a great personal statement is HUGE. Sure, your grades are the first thing the college admissions guys look at when considering your application. But to stand out among the thousands of applicants who apply for graduate school every year, your statement of purpose needs to be polished, coherent, and remarkable. 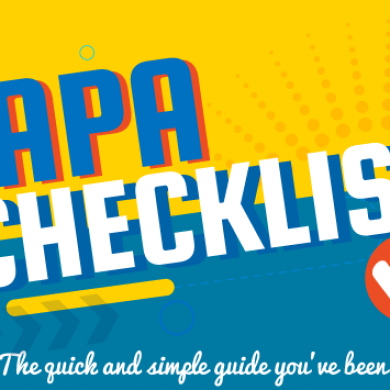 To help you along the way, here’s the checklist that our editors use to quickly make sure that every personal statement we edit or rewrite cuts mustard when it comes to gaining those sought-after university places. 1) Does the personal statement have a “hook”? The hook is the all-important first paragraph that grabs the admission committee members’ attention and makes you stand out from the rest. You need to know how to write a personal statement that perfects the hook in a couple of short sentences. I once worked in a hotel behind a bar. I did the same thing every shift: serve drinks. There wasn’t much for me to learn, and I didn’t feel particularly fulfilled in life. One day, I decided enough was enough. I knew I could achieve more with my life. The next day I applied to college so that I could get the education I needed to find a job. For what seemed the hundredth time that evening, I glanced at the clock only to find that the minute hand had barely moved since I last checked. As I stood behind the musty deserted bar in a run-down hotel that had seen better days, I suddenly wondered how it had all come to this. I realized that I had to take control of my own life and make positive steps to change. Otherwise, I would become as dull and lifeless as the hotel at which I now worked. The hook shouldn’t be telling the reader how to feel. The quickest and easiest way to hook someone into any piece of writing is to make them feel like they actually experienced an event for themselves. The second opening statement will grab the attention of the members of the admissions committee much faster than the first. Because it forces an emotional connection. As such, when you’re writing your personal statement, make sure you shoot for an opening like example one. Action step: Open your statement of purpose with a clear and compelling hook. 2) Does the personal statement tell a story? Admissions committee members are human beings. Just like you and I, they like to be entertained. When you write your personal statement, instead of relaying the events of your life in a dull and rote fashion, you should progress from your hook to tell the review committee the story of how you have got to where you are today and how you decided where you want to be in the future. From the very first time I looked down a microscope and saw the way the cartilage cells were shaped and positioned within the cartilage matrix, I was hooked. I could feel my heart beating in my chest as I observed the brilliant complex structure/function relationship between the various cartilage components and the health and viability of the tissue. Suddenly, I was no longer a lab technician performing standard tests; I was someone who had the potential to make a contribution to knowledge of osteoarthritis and, ultimately, serve those suffering from this painful and debilitating disease. Start with a time and/or place. Examples: Last year; When I was eight years old; Three years ago; When I first saw; During my usual shift at the data center; etc. Incorporate the five senses. Reproduce what it felt like to be in that particular place at that particular time. What could you see? Smell? Touch? Taste? Hear? Your objective should be to firmly plant the reviewer in your shoes and to involve them in the story of your life. We remember stories much better than we do statements because we forge a connection with stories. Action step: Write a personal statement that tells an interesting story that starts with a bang! 3) Is the story supported with data and facts? It’s not enough for your story to be entertaining. It also needs to be convincing. When it comes to a formal document like a statement of purpose, there is nothing more convincing than facts and data. When you write your personal statement, make sure you achieve the ideal balance between quality and quantity. In addition to providing a story that catches the reader’s attention in a deep and meaningful way, you also need to present a believable story. One summer, I volunteered for an initiative that aimed to provide shelter for families who had lost their homes in the Haiti earthquake. It was a life-changing experience. That sounds great; well done you! But what impact did your participation in this initiative have on the people you aimed to help? In the summer of 2011, myself and 32 additional volunteers participated in an initiative that aimed to retrofit the houses that were seriously damaged during the 2010 earthquake in Haiti. In total, we helped 55 families to upgrade their homes and strengthen them against future natural disasters. It gave me an enormous sense of achievement to watch families move back into their homes from the temporary camps they had been living in since the earthquake. Our seven days of manual labor had achieved much more than simply giving people a roof over their heads, it had given the families a sense of comfort, peace, and security. By writing a personal statement that provides the reader with facts and data, you enhance the quality and authenticity of the story and create a lasting impression. Action step: Whatever story you tell, add numbers and specific facts; it will make your admissions essay so much more powerful. 4) Does the personal statement avoid the use of clichés? The majority of statements of purpose our proofreaders come across are full of stock phrases and high-level claims that mean absolutely nothing to the average admissions committee member. If you want your SOP to be read and, more importantly, you want to secure an interview, steer well and truly clearly away from clichés and meaningless jargon. I am a hard worker and give every task 100%. If only I had a dollar for every personal statement I have come across in which the applicant claims to be a hard worker. No one is likely to declare themselves a slacker are they? Most people work hard, and those who don’t are likely to lie about it and claim to be grafters anyway. You have just wasted a line of your statement of purpose telling the recruiter that you are exactly the same as every other applicant. This is no good when your objective is to stand out. What exactly did you achieve during those three years? Surely it is the reviewers’ task to decide what constitutes a proven track record. Successfully signed twelve new customers in first six months of new role, contributing additional revenue to the department of approximately $160,000 USD per year. Action step: When you write your personal statement, make sure you ditch the clichés and concentrate on telling it how it really is. 5) Is the personal statement tailored to the university? The majority of candidates make a fundamental mistake. They write a statement of purpose that’s all about themselves. Think about it like this: Would you be interested in dating someone who talks about themselves all night? If your personal statement waxes lyrical about how great you are and nothing else, don’t be surprised if application after application disappears into a deep, dark hole never to see the light of day again. Every single university is different. Every course of study is different. One size does not fit all. You understand their university and the community they have created. You understand the program on offer. You understand the type of student they are looking for. If you don’t communicate this understanding, you will not convince the committee that you are a good fit. Action step: Stick the generic SOP in the trashcan and tailor every statement of purpose specifically to the university you are applying to. 6) Is the tone and language appropriate? The majority of SOPs that Vappingo’s proofreaders and editors encounter are written in an extremely formal manner. They would put the Magna Carta to shame. Try and achieve the delicate balance between ensuring your statement of purpose is taken seriously and communicating a little of your personality. Don’t be tempted to use big words in an attempt to convince the admissions committee that you’re a clever clogs. You’re not writing a new philosophy of being. You’re writing a letter to a stranger. You’re trying to communicate a clear message, efficiently and effectively. Action step: Write a personal statement that uses slightly formal language injected with your own character. 7) Are the events outlined in the personal statement believable? It’s important that you don’t confuse telling a story with completely fabricating a pack of lies. But what happens if your life thus far has been pretty standard? What happens if you don’t have a compelling story to tell? If you are true to yourself, you will automatically achieve points one and two. Action step: Avoid the temptation to make things up when you’re writing your personal statement. Tell the story as it really happened and you’ll get MUCH better results. 8) Is the candidate convincing? The whole purpose of the admissions essay is to persuade the admissions committee to accept you on a particular course of study. How can you possibly do this if you are not convinced yourself? You must be categorically sure of what you want to study, why you want to study it, and why this particular program at this particular university is perfect for you. Essentially, YOU MUST KNOW YOURSELF. When you have it completely straight in your own head and can clearly articulate where you are in your life and what events led to your interest in the program you are applying for, you are ready to begin writing your personal statement. Action step: Make sure you fully explain the reasons as to why a given program at the university is right for you. 9) Is the statement of purpose logical and coherent? Your statement of purpose should be a personal document that reflects your personal journey and aspirations. As such, there is no standard format that applies in all cases. 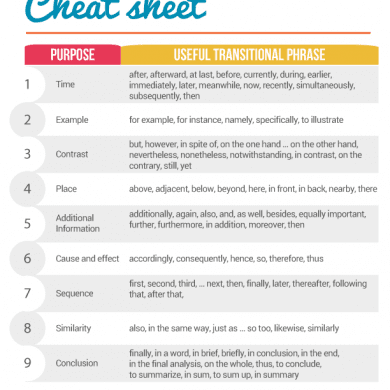 If you do want a guideline to the anatomy of a personal statement, check out our guide on how to format your statement of purpose. What’s more important is that you present the story in a seamless and logical fashion. Progress from each key point in a methodical manner and build a convincing picture of yourself as the ideal candidate for the school. Define the basic objective of your statement of purpose and ensure you keep that in mind throughout. This will help you to build a convincing argument. Always remember your audience. Make sure EVERYTHING you include in your statement will be of interest to them and your application for graduate school. Delete any extraneous information. Action step: Make sure your personal statement flows seamlessly from one paragraph to the next. 10) Is the language perfect? Contrary to popular belief, a statement of purpose isn’t the place to show off your superior academic writing skills. You’re not writing the next War and Peace. Speak in plain English and tell your story clearly without attempting to show off. Once you’ve written an exploratory draft, you need to turn your attention to the minutia. Always proofread your final statement of purpose carefully and ask other people to check your work. Making sloppy or careless mistakes will cost you dearly. It’s a good idea to use a professional statement of purpose editing service. Many of Vappingo’s editors have served on admissions committees in the past; as such, they know exactly how to write a personal statement that gets results. Action step: Hire a professional proofreader or editor to make sure your statement of purpose is absolutely perfect. 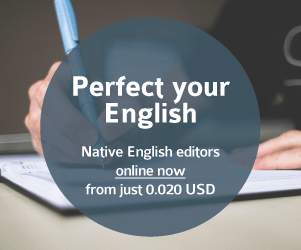 Our native English editors have reviewed thousands of statements of purpose and know what it takes to write a personal statement that secures places in the top schools. Order our statement of purpose editing services now and we’ll help you create a statement of purpose that sets you apart from the crowd. Trackback: Statement of Purpose Formatting: Get Your 2018 SOP Template Now!